Newest policy paper as an outcone from "Innovative Energy Workshop"
We are grateful for big number of students participated in competition. We would like to thank all the participants by their effort to deliver high quality work. Numerous of essays were received and carefully evaluated by the EAFES committee. Unfortunately, only three best essays could be awarded. The winning essays are available here. from Lyusya Goncharenko: EAFES Cambridge University Sustainable Energy Summer School Delegate and Blog Contributor. Our Executive Director, Dr Michal Chudy attended the Eastern Cape - European Union Energy Conference 2012. The conference was organized as a partnership project between the region of Eastern cape and the European Union. The Prime Minister of Eastern Cape Ms Noxolo Kiviet as well as EU ambassador in the Republic of South Africa Mr. Roeland van de Geer were both present. Visit our events page to find out more about the conference. 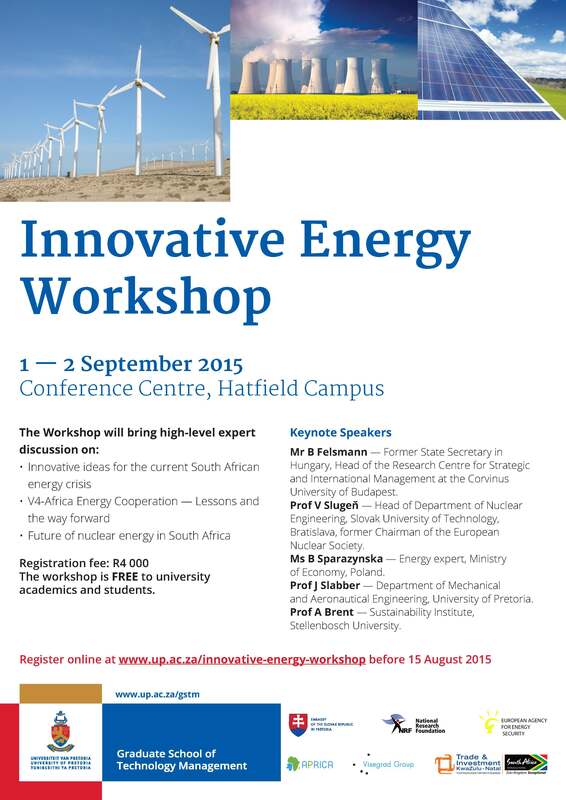 The EAFES Sustainable Energy Summer School was a great success! Thanks to all our delegates, speakers and facilitators for making it a fantastic event! Delegates can now visit our online resource centre here to download presentations from the event. Click here to view the gallery to see how it went. Workshop: "Where is the energetic future of Central and Eastern Europe?" 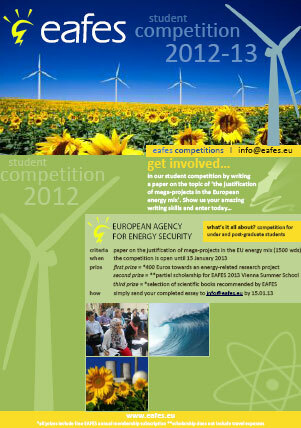 The workshop was organized by the European Agency for Energy Security (EAFES) and the Centre for European Studies (CES). 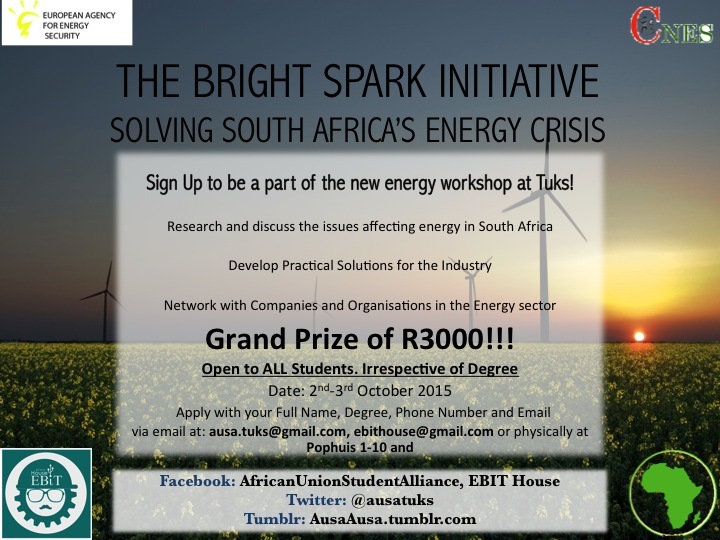 The aim of the workshop was to identify and analyze current energy dilemmas from different perspectives. Invited speakers were natural scientists, social scientists and diplomats. Two EAFES executive board members, Michael Gerstmayr and Eileen Radde, are together with Prof. Helmut Böck authors of a new book. 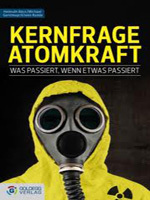 The book offers expert overview of current dilemmas in Nuclear energy.